Full disclosure, this post does include affiliate links from Warby Parker. If you’re in the market for glasses and ordering online is a good fit for you, I highly recommend this company for reasons that you’ll see later. If you place an order through any of these links on this page, I want to thank you for helping to support companies that help to support XOXO,Lib. Some of you know that up until several months ago, I worked for an eye doctor. I really did love this job and I learned so, so much. In addition to selecting which frames we would carry in the store and going on the yearly trip to Kansas City for ongoing education opportunities (easily my two favorite parts of the job), I learned a lot about the inner workings of an optometrist’s office. August is National Eye Exam Month. So, I’m here, today, to answer a few of the Frequently Asked Questions that often still find their way into my inbox even though I’m no longer under the employ of an optometrist. 1. “What’s this thing on my eye/ do I need to go to the doctor for this ?” Here’s the hard part for me, I was never an eye doctor so I can’t tell you if what’s in your eye is silly or serious. If you were to call my office with this question I would tell you, “if you’d like, I can set you up with an appointment to see the doctor.” And what I’ll tell you in real life is that if something is bothering you, not going away, or worsening, go see your doctor. And don’t wait till Friday afternoon to do it. A. Will I be wearing these glasses 50% of the time or more? B. When people look at me, is it important to me that they see my eyes instead of the reflection in my glasses? C. Will I be wearing these while exposed to UVA/UVB rays from the sun? Don’t forget that cancer is quite real. If you answered yes to one or more of these questions, you should seriously consider springing for the anti-reflective coating. Also, a lot of offices will extend your warranty against scratches if you pay a little extra for this product. 3. Do I really have to get my glasses at the office or can I buy them online? You don’t have to buy your glasses in the office at all. If the doctor wrote you a prescription, you have the legal right to get that prescription filled anywhere you like. But should you get your glasses online or in the office? Hmm… that one’s tricky. Truth be told, I can’t give you a one-size-fits-all answer because everyone is different. In my experience, I have found that if you have a pretty easy, single vision prescription without a lot of astigmatism (you’ll know these things if you know how to read your Rx, or your doctor or optician will be glad to tell you), the odds of you being satisfied with your online glasses order are a lot better. People with heavy prescriptions, strong astigmatisms, lazy eyes, bifocals, etc., were usually the people who were coming back to my office saying, “I got these online and they don’t work at all.” And that’s because there are a lot of delicate measurements that go into creating a pair of glasses for an individual. There are a lot of things to take into consideration before placing that final order—things that you can’t easily measure yourself, in front of your computer, or without a trained professional. Ordering glasses online can be a bit of a guessing game. And people with light prescriptions just have a lot more wiggle room to play with than those of us who don’t. I, myself, have never gotten glasses online. It’s simply because my prescription is not only strong, but it’s stronger than what most online companies are willing to fux with. So, for me, it’s an impossibility. If I could, however, get my glasses online, I would get them at Warby Parker and there are a lot of reasons as to why that’s true. 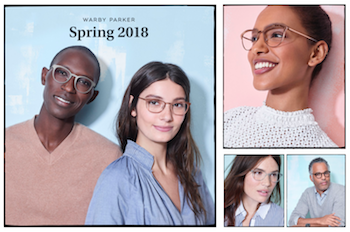 For starters, as someone who has spent more than five years in the optical industry, I can say that Warby Parker asks all the right questions to let me know that they’re on the up and up. They require that they actually see your Rx, they respect expiration dates, and while their prices are inexpensive, they’re not so inexpensive that it makes me wonder just what on earth is going on behind the scenes. I’ve seen the inner workings of a reputable lab and I don’t see how you could possibly get a quality complete pair of glasses for $30 like some online retailers will sell to you. $30 for a pair of glasses that don’t fit or work is not a good deal, it’s a waste of $30 and a gamble that I’m not willing to risk. My vision is a high priority to me and I’m willing to pay for it. You really can’t beat a high quality pair of glasses for around a smooth hundo, my friends. All glasses include frame, lenses, UV protection and that anti-reflective coating I was talking about. It’s a sweet deal. And also, I know a lot of people who have ordered from Warby Parker and really loved the glasses that they ended up with. In fact, I don’t know a single customer of theirs who hasn’t loved their end result. I like that Warby Parker offers the free at-home try-on. Because I’ve learned that as much as you like a pair of glasses sitting on the table, you really don’t have a clue about what they’ll look like on your face. Everyone’s nose sits in a different spot. Everyone’s ears sit in a different spot. And everyone’s head is shaped differently. On top of that, every pair of frames fits differently. Absolutely nothing beats trying on glasses. And while we’re at it and you’re selecting the frames that you’d like to try on at home, go ahead and try on the safe pics that you think will be a sure-bet. But don’t forget to throw in a pair or two that are “just for fun”. And finally, the last thing that I adore about Warby Parker is the Buy a Pair, Give a Pair program. At the end of each month, Warby Parker will tally up the number of glasses sold, and then makes a donation, based on that number, to a nonprofit. This nonprofit helps to train people in developing countries to give eye exams as well as sell affordable glasses to people in their communities. Because basic eye-health in developing countries is not always easy to come by, this program rings all the right bells for me. Remember—the eye doctor exists for a lot more than just glasses. The eye is the only organ that we can see into without doing any kind of surgery! There’s so much that can be known about you just by looking into your eyes! And so many illnesses and conditions that go completely undetected until irreversible loss of vision starts to take place. Some other conditions that seem completely unrelated to your vision can show up in your eyes. I’ve seen people diagnosed with diabetes and even hypertension after a routine eye exam. Please, go get your eyes checked on a regular basis. Remember, I don’t have a dog in this fight. I have nothing to be gained by your regular eye exams except the knowledge that you’ll keep your vision for as long as you possibly can. If you live anywhere near me and are looking for a good eye doctor, I can’t recommend the doctor that I worked for more highly. Let me know and I’ll get you his information. Do you have any questions about glasses or eye doctors that I didn’t answer? Ask them in the comments section and if we get enough, I’ll write up another post! Even though I don’t work in this industry any longer, I’m very passionate about vision and still very, very into glasses. 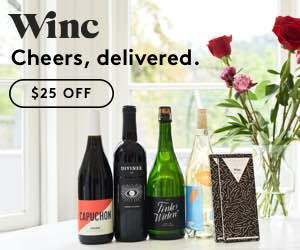 If you’re in the market for new glasses and thinking about ordering through Warby Parker, let me know! I’d love to do a feature on the start-to-finish process and if you’re willing to take some pics and answer some questions, it would be such a help to me!